A society dedicated to sharing the love of beading through learning, friendship and creativity. The Bead Society of Victoria, Inc. (BSV) was founded in 1994 by a small group of bead enthusiasts who decided to direct their passion for beads into founding an organisation to include beadwork into the arts and craft movement in Australia. Our 2018 Bead Expo is over for another year, and our members and visitors had a great time with workshops, shopping, exhibitions and learning about new products and techniques from our many tutors and traders. Thanks to Liisa Turunen, our International Tutor, for sharing your expertise and beautiful designs with us. The committee is already planning for next year's event, so keep an eye out on our website and social media for updates! Our Bead Challenge this year is open and is a celebration of the Bead Society of Victoria's 25th Anniversary. Travel the glitzy trail with the “Silverado” Bead Challenge this year. 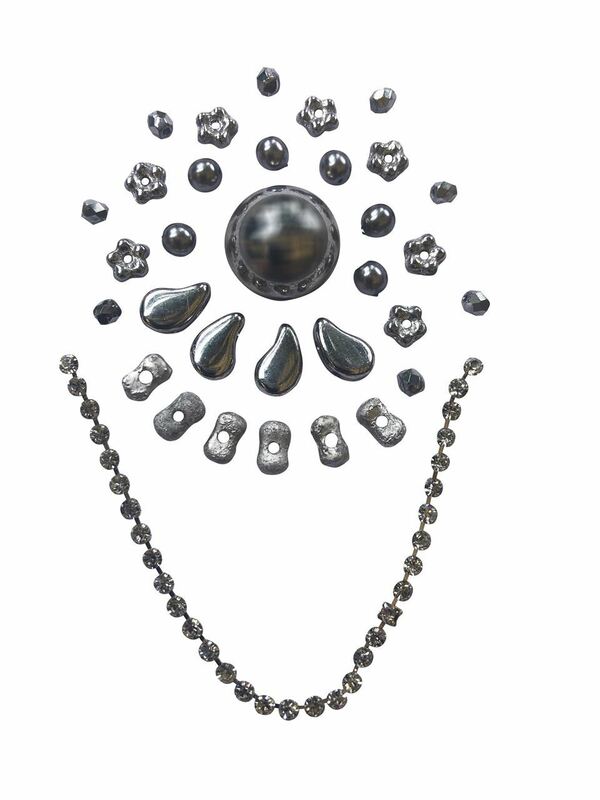 Create your own individual piece with this eclectic collection of silver beads and components. There are two sections this year, Open and a new First Time Entrant category! We want to see as many entries as possible. Congratulations to our worthy winners from the 2018 Bead Challenge at the Bead Expo. We look forward to seeing what you all come up with this year. Click here to see the winning entries! The Bead Society of Victoria is very active in providing workshops by local tutors at the monthly meetings. Besides bead weaving, other techniques are also taught, for example working with polymer clay, resin, fabric or metal. Members come together each month to bead and chat and, most importantly, help each other to develop their skills and exchange creative ideas.